Cross-Border E-Commerce. Understanding the Challenges. Want to explore the latest insights into cross-border ecommerce? 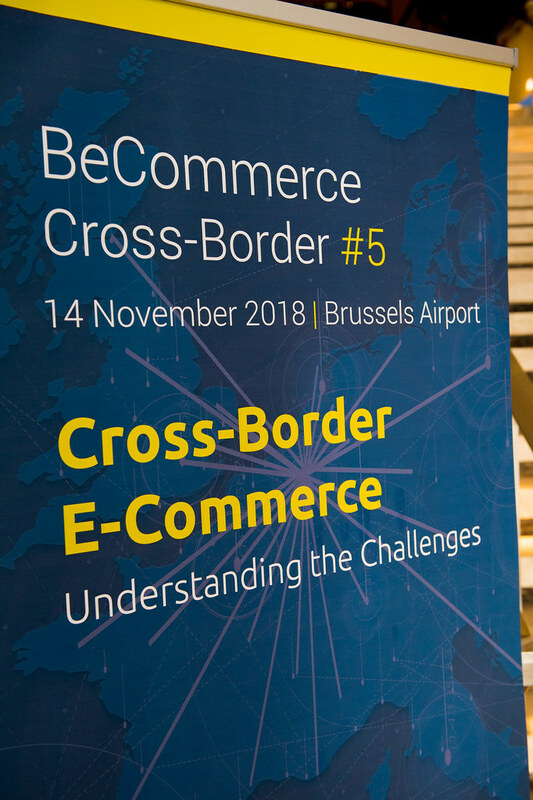 Belgium is one of the top EU cross-border countries, besides selling online in Belgium, many retailers also take on the challenge to sell abroad. Several international e-commerce players will share their knowhow on stage and the latest strategies and tips will be discussed. Ecommerce in Belgium: how to create equal opportunities for Belgian and Foreign e-retailers? Why this debate? It has been argued more than once that purchases made by Belgian consumers on foreign – predominantly Asian – website result in unfair competition for Belgian web shops and result in lost income for the Belgian State. The competitive distortion most often seems to result from the fact that there is no collection of VAT on low value items that are imported from outside the EU. This concern is supported by reports published by the European Court of Auditors and Copenhagen Economics, a Danish Consultancy specialized in Ecommerce and Postal Markets. Based on their reports, EU governments fail to collect over 1.2 Billion Euro on VAT and import duties on foreign imports and indirectly subsidize foreign postal operators for more than 1 Billion Euro as a result of international postal price agreements made by the Universal Postal Union (UPU). How serious is this problem? Stefan Van Overbeke runs Outspot, a Belgian e-retailer that sells goods to consumers in Belgian and other EU Markets. He is very concerned about the unfair competition resulting from VAT evasion. His customers have to pay 21% VAT on their purchases. When the same customers purchase something on an Asian web shop they are often not charged VAT, not at the sale, nor at the import. The VAT charges already create a 21% price disadvantage when you compete with non-compliant imports from Asia. On top of this Asian web shops benefit from extremely low postal charges resulting from international postal agreements resulting in almost free delivery as opposed to the delivery charges that are charged to ship something from Antwerp to Brussels. What is the alternative? A number of developments confirm that it is possible to conduct cross border ecommerce in a compliant manner. ECDC, a Liege based Logistics Company, provides solutions for Europe-China Ecommerce. Patrick Hollenfeltz has recognized the potential of providing logistics, customs brokerage and transportation services to Chinese importers in order to help them trade in a compliant way. He also assists them with managing their returns. The Belgian Customs Authorities have also recognized the need for modernized procedures as a way to facilitate Cross Border ecommerce. They are deploying new systems to attract foreign ecommerce companies who are encouraged use Belgium as an entry point for the European Market. What is the risk? Improved customs and VAT procedures, like the introduction of the one stop shop for VAT, combined with compliant business processes will only eliminate the competitive distortion if and when applied in a consistent manner at EU level. If this is not the case, the import process might move to EU countries that are less diligent in applying the correct procedures. During the debate Professor Michel Maus suggested that a consistent approach for VAT and taxation at EU level, possibly through creation of an EU tax authority, should be considered to address many of these issues. What is needed to create equal opportunities for Belgian and Foreign e-retailers? Improving customs and taxation procedures will address a significant portion of the concerns voiced by Belgian e-retailers. Attracting foreign ecommerce platforms to set up their European distribution operations in Belgium and having them trade in a compliant manner is a first step in the right direction. It will however not fix the problem entirely. Belgian web shops will still face unfair competition caused by the artificially low postal shipping charges used by Asian web shops have online purchases delivered to Belgian consumers via the postal channel. As long as Western European postal operators like Bpost are required to deliver imported goods below cost as a result of the UPU’s Terminal Dues agreement, e-retailers based in countries like China will continue to benefit from delivery services subsidized by Belgian tax payers. This problem is not specific to Belgium and is beginning to raise more and more concerns at international level. To change this system a more active role of the Belgian government, representing Belgium at the UPU, is required in the discussions to reform the UPU’s compensation mechanism. Case #1 by Tim Fransen, Head of Go-To-Market Management and Digital at Worldline. Are you reaching your full potential in International Sales? Ready to expand your e-retail business internationally? Make sure your payment set-up will scale up and support your growth! Worldline's online payment experts have helped successful companies like Airbnb, GoDaddy and Spotify reach their global goals. Whether you are trading locally or cross-border, join us at BeCommerce to learn how to enter new markets rapidly, improve conversions, simplify reporting and reconciliation, and minimise fraud loss. The volume of data is rapidly increasing, with 90% of the world’s information being created in the last two years. The opportunity for businesses today is to leverage the available data in more intelligent ways. Harvesting and drawing insights from the data you have on the users. At the same time, consumers are getting more demanding. How to use data and become more relevant to these consumers? How to use data as the new competitive advantage in unlocking cross-border growth? If you want to attract more international customers and grow your business internationally, understanding global shoppers’ buying preferences and pain-points is a must. By providing merchants cross-border insights, we aim to help them to compete in a world where a few giants have become to dominate the e-commerce field and increase their sales in today’s rapidly digitizing and mobile-focused world of e-commerce. Collecting VAT & Duties in Cross-Border E-Commerce of Goods: Is Belgium Leaving Money on the Table? It is argued more than once that the processing of incoming goods through postal operators coming into the EU from Asia and the Pacific results in the loss of public income, an unfair competition between postal and non-postal carriers, the competitive distortion between EU and non-EU manufacturers and e-retailers, and finally the cost of non-Europe (a failed digital single market). On top of that, geoblocking practices within the EU yields in an unfair allocation of VAT and Duties amongst the EU-countries.